This package provides all of the basics you'll need to start your documentary project. Record up to 3 hours of HD video on a single 32GB card (card not included) with the Canon C100 Mark II, which sports continuous AF that is compatible with the autofocusing on the included 24-70 II lens. With 12 steps of dynamic range, you will be able to capture your subject even in low light. The included microphone is a popular choice among film and ENG/EFP professionals and maximizes pickup at the front, which is good for interviews. It comes with the shockmount, windscreen, and right-angle XLR cable. Support it all on a high-end tripod with damping technology that allows increased levels of control, smoothness, and reliability when tilting and panning. 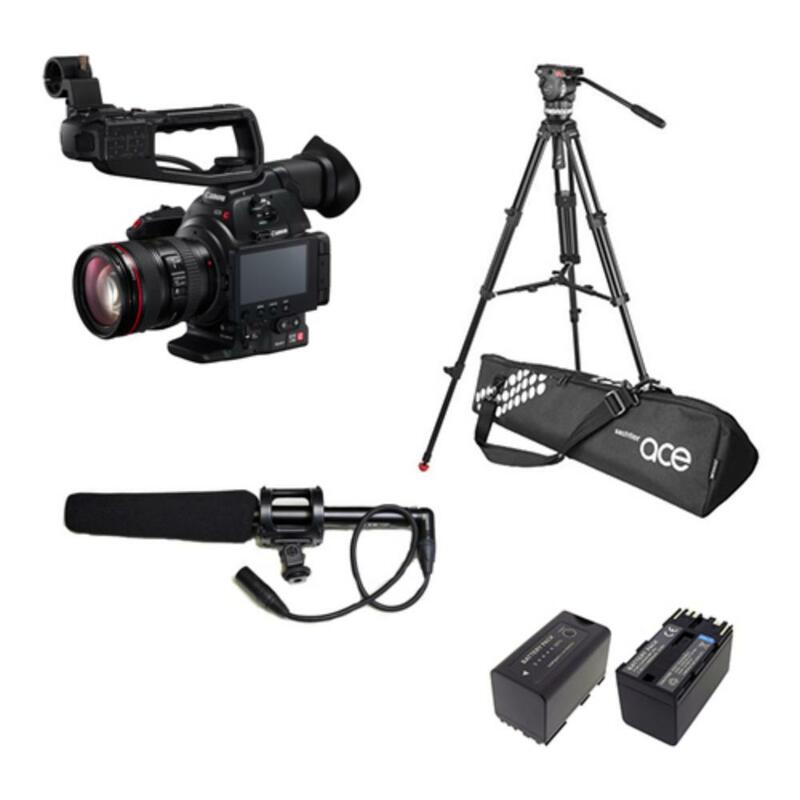 This package is ideal for journalism work, corporate events, interviews, and documentary filmmaking. Great for documentary shooting, interviews, and corporate work. When packages include a camera body, they always also include a charger. When packages include extra batteries, there will not be extra chargers. Packages with flashes do not include AA/AAA batteries. Plan accordingly. We cannot make substitutions on packages.